This will be the third case brought by campaigning lawyers ClientEarth, whose previous victories required ministers to write and then rewrite its national strategy to tackle nitrogen dioxide. Mr Justice Nicklin ordered the case to be heard before 23 February 2018. ClientEarth is arguing that the Government's new plan, published in July, is inadequate because it backtracks on commitments to order five cities to introduce Clean Air Zones (CAZs) by 2020; does not require any action in English 45 local authorities with illegal pollution levels; and does not require action by Wales to cut pollution as quickly as possible. It wants a court order to force ministers to take additional actions to rectify these alleged flaws within a clear timescale. ClientEarth CEO James Thornton said: ‘We’re not surprised that the judge has ruled that the Government has a case to answer here. The current plans are too weak and too vague and mean that we will still be choking on illegal levels of pollution for years to come. ClientEarth said it understands that Leicester and Oxford city councils have written to the Government raising doubts about its plans. 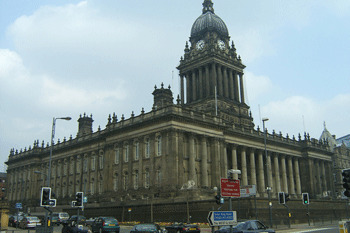 However, Leeds City Council announced on Tuesday (5 December) that it is to consult on plans that include a charging CAZ covering pre-Euro 6 diesel HGVs, buses and coaches and ‘raising the standard of taxis and private hire vehicles to ultra-low emission, either petrol hybrid or electric'. Leeds was one of the five cities originally mandated to bring in a CAZ that would charge non-compliant vehicles other than private cars. A spokesperson for environment department Defra said: 'Air pollution has improved significantly since 2010, but we recognise there is more to do which is why we have put in place a £3.5bn plan to improve air quality and reduce harmful emissions.